It is only if congestion is reduced that peak hour services can run effectively. 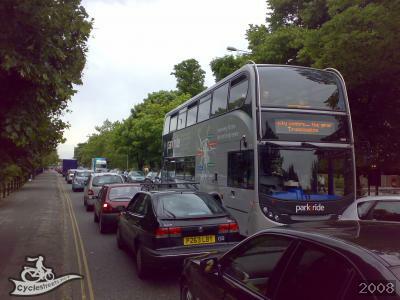 The current levels of congestion – which would be cut through the proposed congestion charge itself – are a serious and insurmountable barrier to making bus services work much more effectively. 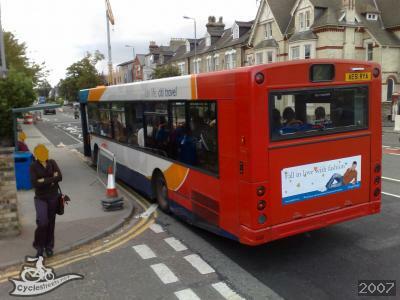 Buses get stuck in traffic, and freeing up this roadspace by transfer to buses would be a win-win situation. 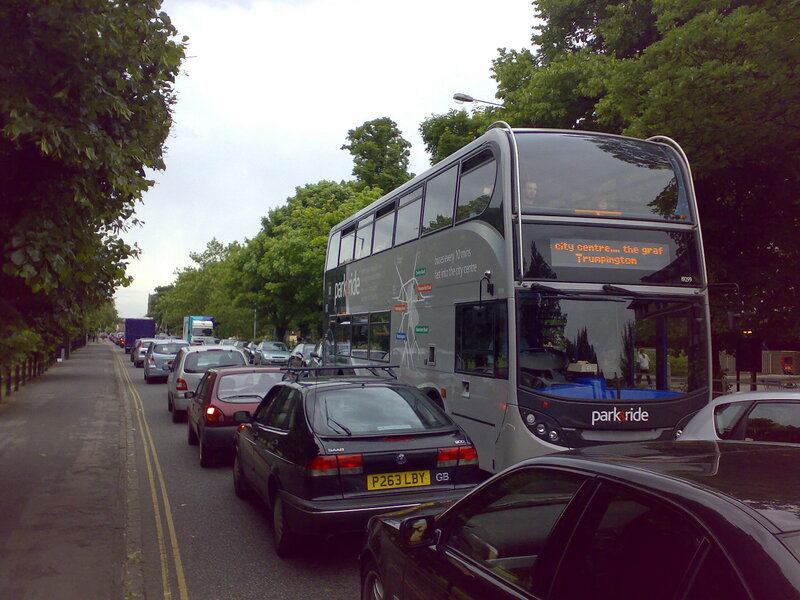 A double-decker bus can carry as many people as a half-a-mile queue of traffic (10m per car, 1.2 people, i.e. 80 people per half-a-mile in theory). The bus network itself would also be considerably expanded, as this long list of improvements shows. Park and Ride would also see considerable expansion, which presumably would mean new bus points between the P&R stops and their destinations too. 3.25 The city network will be strengthened by enhanced frequencies. All services will run at 10 minute frequencies and, where demand is greater, higher frequencies will be implemented. Two additional city services (C8, C9) will provide links to new developments to Cambridge East and Cambridge North West. 3.26 It is proposed that many of these services will benefit from the priorities developed for the HQPT network (e.g. Newmarket Road, Hills Road, and Huntingdon Road). A range of local junction improvements together with enhanced priority and provision in the city centre will also aid operation of this network. 7.24 The frequency of the city services increase from an average of 3 buses to 7.5 buses per hour. Consequently, there is a substantial percentage increase in the number of passengers boarding the city services. Overall, the number of all bus and HQPT passenger boardings increase by 60%.